"...an inventive police drama that blends traditional noir storytelling with humor and intrigue. 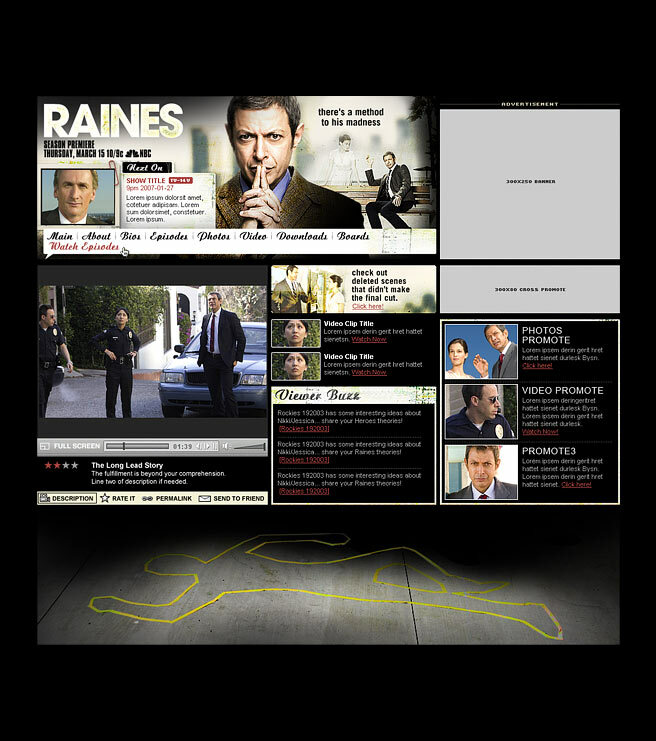 Eccentric LAPD Detective Michael Raines (Jeff Goldblum) uses his unique imagination to focus on every murder case in such a way that the murder victims actually begin to take shape in front of him. At first, he thinks he's losing his mind, but he then uses the constantly evolving hallucinations -- which are figments of his imagination and not ghosts -- to help him discover the victims' killers. Raines struggles to accept this peculiar gift -- or burden -- and reconcile it witsh his daily life."